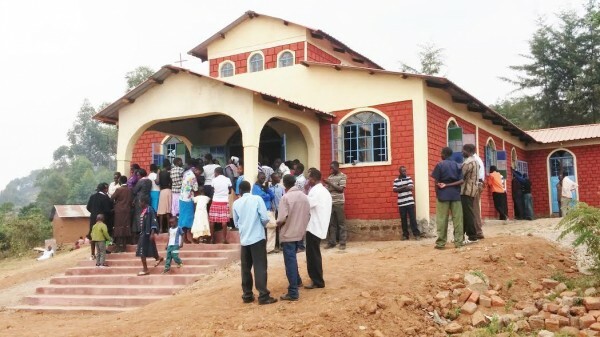 OCA Alaskan Diocese “gives” a church to Kenya! 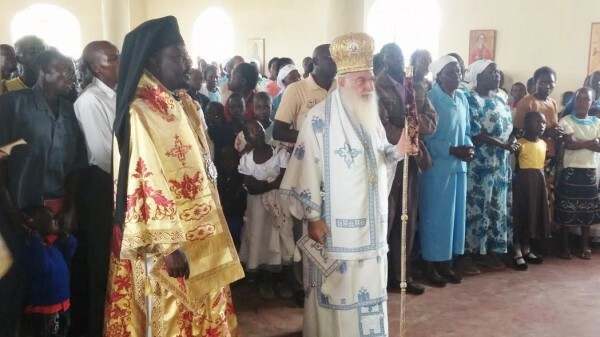 On February 15, 2015, His Eminence, Archbishop Makarios of Kenya, assisted by his new vicar, His Grace, Bishop Neophytos, consecrated the first church in Africa dedicated to Saint Herman of Alaska—a “gift” from the clergy and laity of the Orthodox Church in America’s Diocese of Alaska. 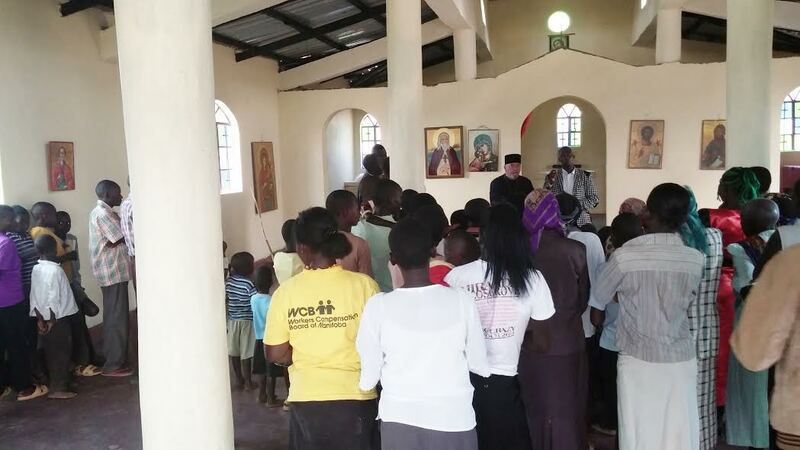 Fifteen parishes and 37 individuals, most of whom are from the Diocese of Alaska, not only made the “gift” possible, but also donated the icon of Saint Herman for the iconostasis of the new temple, which was built in the Nandi region of western Kenya. The project began when a retired diocesan priest made Facebook contact with a young, energetic Kenyan priest, Father Jonah Rotich, who needed an additional classroom for his growing village school. Providing the $650.00 to expand the school was a relatively quick and easy project. But then Father Jonah displayed the foundations of his new church due to a shortage of funds, it was discovered that the building could be completed for a mere $17,000.00. It was determined that 34 donors, each providing $500.00, could make Father Jonah’s dream a reality. 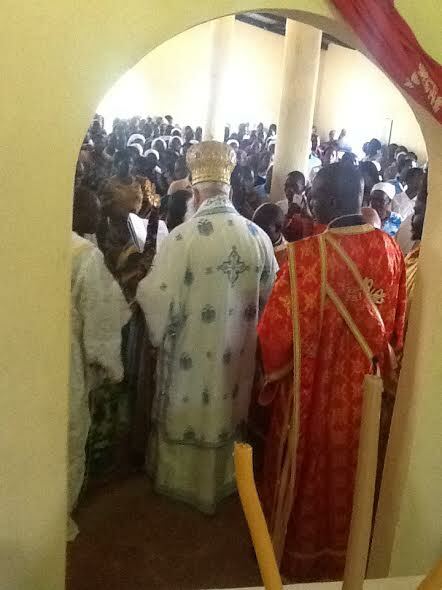 His Grace, Bishop David, gave his blessing to make the construction of the church a diocesan project. At the Alaskan Diocesan Assembly in October 2014, clergy and lay delegates enthusiastically embraced the idea. Reasoning that the Russian Orthodox Church had built, decorated and furnished many historic Alaskan churches, both during the era when Alaska was part of the Russian Empire and also for 50 years thereafter, the Alaskan Orthodox faithful decided it was time for them, as a mature diocese, to begin assisting other missions around the world. Funds were transferred to Kenya with immediate results. Father Jonah regularly reported on the number of bricks, the kilos of sand or the quantities of cement he bought from week to week and posted photos of the construction project’s progress. Contributors from other parts of the US and Canada supplemented the gifts from over 30 generous Alaskans and a dozen diocesan parishes. The stone and brick church was completed in less than four months! Bishop David provided a portion of the relics of Saint Herman, which were placed in the new church’s altar table. At the church’s consecration, Kenyan clergy and laity responded with an amazing and overwhelming celebration in dance and song, with the children, teens, men and women of the parish composing and performing jubilant songs to celebrate and give thanks to God for the gift of a church they received from their distant Alaska Native brothers and sisters in Christ.